The mobile phone has become a very common gadget. People usually carry one along with them wherever they go. It comes in a familiar design common in most phone types and models. But there are also others like the Zanco Smart Pen that aims to look more unique in more ways than one. The new Zanco Smart Pen is actually a functioning mobile phone. In fact, it is being introduced as the world’s thinnest mobile phone, taking a pen design rather than the usual rectangular design that such gadgets are known for. 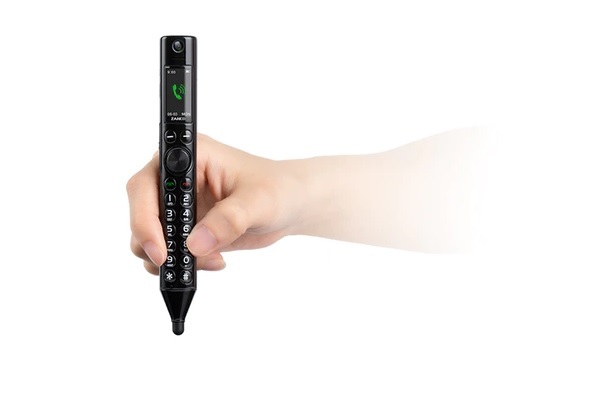 Just like a typical mobile phone, the Zanco S-Pen also comes with calling and messaging functions along with a built-in camera and a Bluetooth earphone. Users can also sync the pen with a primary smartphone in order to become a handier device to take and make calls and messages. The Zanco S-Pen also has additional features that make it a more versatile device. It also works as a stylus pen compatible with most phone and tablet displays. This smart pen is also a voice recorder, a voice changer, a laser pointer, and many more. It also comes with a rechargeable battery that is good for 6 hours of use as well as a 6-day stand by time on a full charge. The Zanco Smart Pen is ideal for use in the office as well as in a casual setting for checking social media and when surfing the Web. It is currently available for pre-order at an entry price of $59. It is expected to retail for around twice that price when it becomes available sometime on April of this year.